As the NAILS Magazine team prepares for a three-day long event at Premiere Orlando next weekend, we’re taking a look at our experiences to tell you what you can expect. Exhibitors, lots of them. In 2014, 805 exhibitors took over the show floor. Take a look at the action on the show floor here. Educational classes. Last year, 420 classes took place. 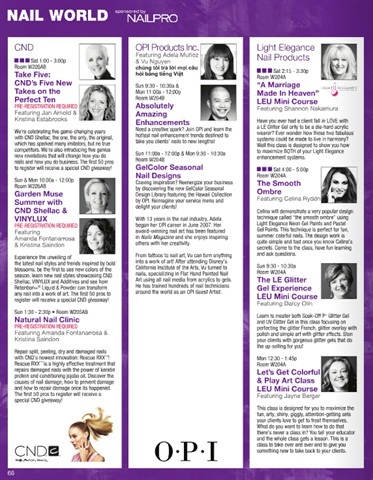 To get a look at this year’s nail-focused classes, click here. Networking! See old friends, meet new people, sample products--all while having fun. To get tickets to this year’s Beauty Tech event, click here.